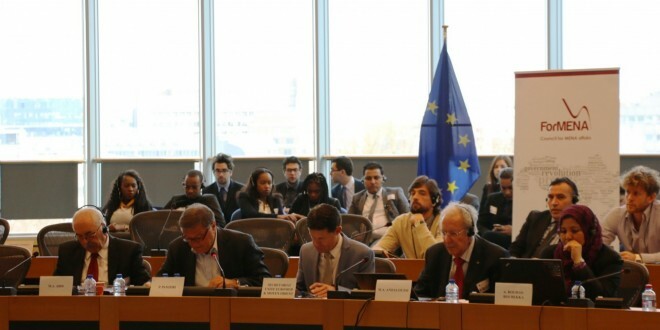 On April 16th, ForMENA hosted our first conference in collaboration with the European Parliament’s Delegation for Relations with the Maghreb Countries in the European Parliament in Brussels. 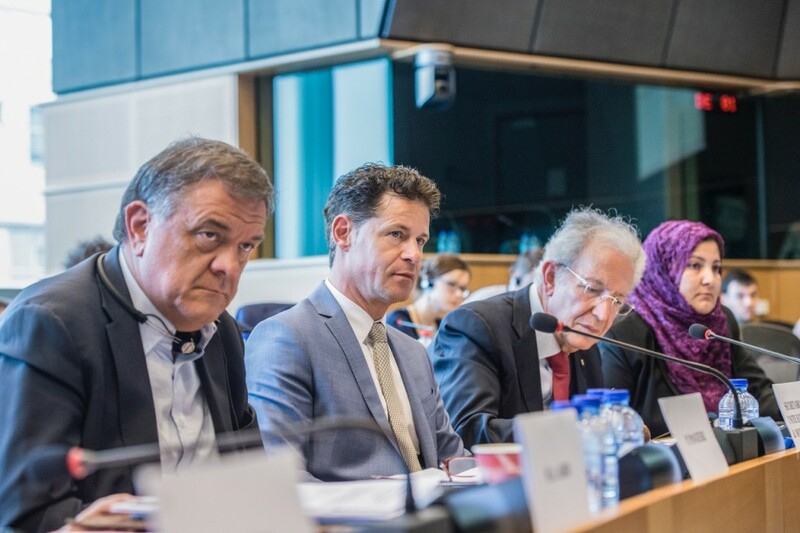 Nearly a hundred people attended the event, led by MEP Pier Antonio Panzeri, Chair of the Delegation and the Arab Maghreb Union. The main topic of discussion was employment issues for young people in the Maghreb. 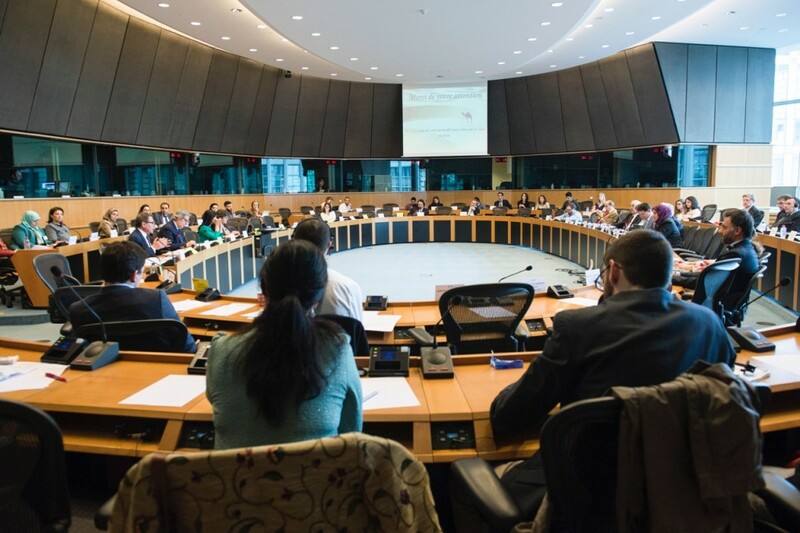 Many members of the European institutions, including the European External Action Service and European Commission, researchers, students from Paris and numerous MEPs were present. Among the latter were Fabio Massimo Castaldo, Miriam Dalli, Ana Gomes, Gilles Lebreton, Barbara Lochbihler, Fernando Maura Barandiarán, Pier Antonio Panzeri, Gilles Pargneaux, Cristian Dan Preda, Robert Rochefort, Tokia Saifi, Siôn Simon and Jana Žitnanska. The issue of youth employment, appreciated by Tokia Saifi, former French Minister and Vice President of the Maghreb Delegation, is essential and critical to the political and social future of Morocco, Tunisia and Algeria. Three high-quality speakers were invited by ForMENA to cover the main issues of the labour market, unemployment, education, social entrepreneurship and the difficulties of youth in the Maghreb to navigate their way to professional life. Mr Mohamed Abbad Andaloussi, President of INJAZ Al Maghrib Morocco, an organisation supporting entrepreneurship education in the Maghreb and wider region, also spoke. He recalled his experience in what he calls the “school to success”, through which involves his company develops youth skills sought by the market. Mr Andaloussi described INJAZ’s partnerships with high-level partners such as the Ministry of Education and NIS, a large Moroccan private investment holding company, Attijariwafa Bank, Master Card, Western Union, Axa and Boeing. He explained how these volunteer trainers have only one goal: to strengthen the management skills of young people. Companies which invest benefit because they are able to improve their image among young people and give concrete meaning to school- or university-based education. Abdellatif Abid, Deputy Secretary General of the Arab League in Tunis and Tunisia’s former Minister of Education, then took the floor to alert the public about the dangers for Tunisia if the issue of youth employment is not addressed. There is, he said, a “strong link between security and stability”, with the latter requiring attention if the former is to be achived. Lack of hope in a large number of young unemployed Tunisians, said Mr Abid, indirectly triggered the Tunisian Revolution of 2011: let us remember Mohamed Bouazizi, a young insecure street vendor who set himself on fire in 2011 in Sidi Bouzid. Tunisia has nearly 600,000 unemployed, 15% of the population. This proportion is expected to increase each year, as universities train 80,000 new graduates who find few employment opportunities. The country does not have abundant natural resources and the development of human resources has not been adequately supported since independence. In the final speech, Mrs. Malika Bouhas-Boubeka, returned to the difficulties of developing a start-up projects in her country. She described how, through huge determination, she was able to set up her own micro-enterprise. 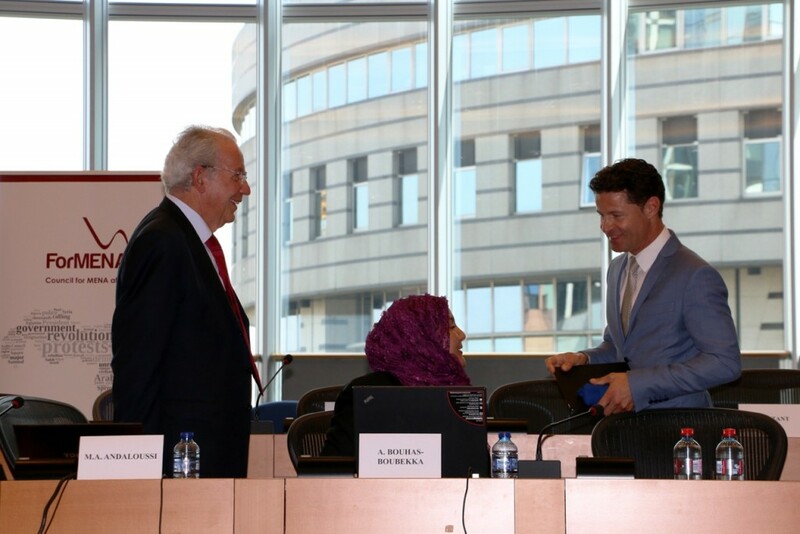 Following these talks, a panel of MEPs took he stage for more than an hour. They related the situation in the Maghreb to similar difficulties in Europe regarding youth employment and also addressed the place of women in the Arab world, issues of corruption and the role of banks, as well as the need for corporate experience before embarking on such a project alone. Following this success, ForMENA hopes to host similar events in the near future with the European Parliament and Arab delegations.